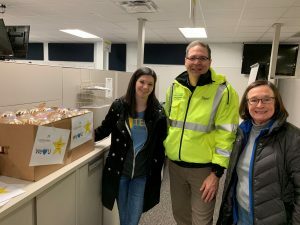 When Cascade Office Manager Stephanie Stacey stopped for gas before heading to work this morning, she met several crews from Consumers Energy—and took the time to thank each one. “I was in awe of what they’ve done over the past few days, so I wondered how we could pay it forward,” Stephanie explained. Consumers Energy staff, including Quinn (middle) and Tammy (far right) love the sweet thank yous! 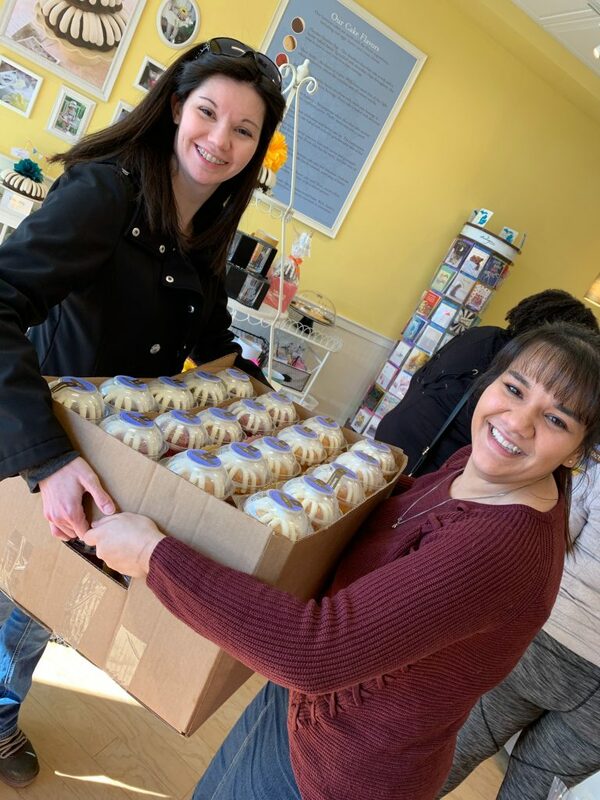 After an hour and a few calls to colleagues and business partners, Stephanie delivered 100 Nothing Bundt Cakes and hot coffee to the main Kent County hub of Consumers Energy. 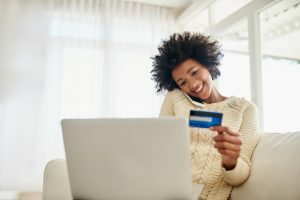 Their staff was thrilled, as many of them have been working without time to go home since Wednesday. 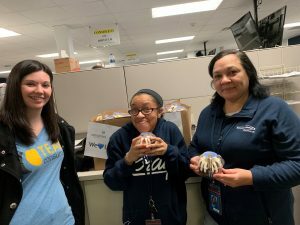 “When I think of how many of the employees and their families are affected personally when Mother Nature throws us a curve ball, I knew we had to do something to bring a smile,” said Stephanie. “My home is now warm because of them, and so is our workplace!